Swimming is an individual or team sport that requires the use of one's entire body to move through water. The sport takes place in pools or open water (e.g., in a sea or lake). Competitive swimming is one of the most popular Olympic sports, with varied distance events in butterfly, backstroke, breaststroke, freestyle, and individual medley. In addition to these individual events, four swimmers can take part in either a freestyle or medley relay. A medley relay consists of four swimmers who will each swim a different stroke. The order for a medley relay is: backstroke, breaststroke, butterfly, and freestyle. Swimming each stroke requires a set of specific techniques; in competition, there are distinct regulations concerning the acceptable form for each individual stroke. There are also regulations on what types of swimsuits, caps, jewelry and injury tape that are allowed at competitions. Although it is possible for competitive swimmers to incur several injuries from the sport, such as tendinitis in the shoulders or knees, there are also multiple health benefits associated with the sport. Evidence of recreational swimming in prehistoric times has been found, with the earliest evidence dating to Stone Age paintings from around 10,000 years ago. Written references date from 2000 BC, with some of the earliest references to swimming including the Iliad, the Odyssey, the Bible, Beowulf, the Quran and others. In 1538, Nikolaus Wynmann, a Swiss professor of languages, wrote the first book about swimming, The Swimmer or A Dialogue on the Art of Swimming (Der Schwimmer oder ein Zweigespräch über die Schwimmkunst). Swimming emerged as a competitive recreational activity in the 1830s in England. In 1828, the first indoor swimming pool, St George's Baths was opened to the public. By 1837, the National Swimming Society was holding regular swimming competitions in six artificial swimming pools, built around London. The recreational activity grew in popularity and by 1880, when the first national governing body, the Amateur Swimming Association was formed, there were already over 300 regional clubs in operation across the country. In 1844 two Native American participants at a swimming competition in London introduced the front crawl to a European audience. Sir John Arthur Trudgen picked up the hand-over stroke from some South American natives and successfully debuted the new stroke in 1873, winning a local competition in England. His stroke is still regarded as the most powerful to use today. Captain Matthew Webb was the first man to swim the English Channel (between England and France), in 1875. Using the breaststroke technique, he swam the channel 21.26 miles (34.21 km) in 21 hours and 45 minutes. His feat was not replicated or surpassed for the next 36 years, until T.W. Burgess made the crossing in 1911. Other European countries also established swimming federations; Germany in 1882, France in 1890 and Hungary in 1896. The first European amateur swimming competitions were in 1889 in Vienna. The world's first women's swimming championship was held in Scotland in 1892. Men's swimming became part of the first modern Olympic Games in 1896 in Athens. In 1902, the Australian Richmond Cavill introduced freestyle to the Western world. In 1908, the world swimming association, Fédération Internationale de Natation (FINA), was formed. Women's swimming was introduced into the Olympics in 1912; the first international swim meet for women outside the Olympics was the 1922 Women's Olympiad. Butterfly was developed in the 1930s and was at first a variant of breaststroke, until it was accepted as a separate style in 1952. Katie Ledecky set the Olympic records in 2016 for the 400m and 800m freestyle. Competitive swimming became popular in the 19th century. The goal of high level competitive swimming is to break personal or world records while beating competitors in any given event. Swimming in competition should create the least resistance in order to obtain maximum speed. However, some professional swimmers who do not hold a national or world ranking are considered the best in regard to their technical skills. Typically, an athlete goes through a cycle of training in which the body is overloaded with work in the beginning and middle segments of the cycle, and then the workload is decreased in the final stage as the swimmer approaches competition. The practice of reducing exercise in the days just before an important competition is called tapering. Tapering is used to give the swimmer's body some rest without stopping exercise completely. A final stage is often referred to as "shave and taper": the swimmer shaves off all exposed hair for the sake of reducing drag and having a sleeker and more hydrodynamic feel in the water. Additionally, the "shave and taper" method refers to the removal of the top layer of "dead skin", which exposes the newer and richer skin underneath. This also helps to "shave" off mere milliseconds on your time. World record holder and Olympic gold medalist Michael Phelps in the 400 IM. Swimming is an event at the Summer Olympic Games, where male and female athletes compete in 16 of the recognized events each. Olympic events are held in a 50-meter pool, called a long course pool. There are forty officially recognized individual swimming events in the pool; however the International Olympic Committee only recognizes 32 of them. The international governing body for competitive swimming is the Fédération Internationale de Natation ("International Swimming Federation"), better known as FINA. In open water swimming, where the events are swum in a body of open water (lake or sea), there are also 5 km, 10 km and 25 km events for men and women. However, only the 10 km event is included in the Olympic schedule, again for both men and women. Open-water competitions are typically separate to other swimming competitions with the exception of the World Championships and the Olympics. In competition, only one of these styles may be used except in the case of the individual medley, or IM, which consists of all four. In this latter event, swimmers swim equal distances of butterfly, then backstroke, breaststroke, and finally, freestyle. In Olympic competition, this event is swum in two distances – 200 and 400 meters. Some short course competitions also include the 100-yard or 100-meter IM – particularly, for younger or newer swimmers (typically under 14 years) involved in club swimming, or masters swimming (over 18). Since the 1990s, the most drastic change in swimming has been the addition of the underwater dolphin kick. This is used to maximize the speed at the start and after the turns in all styles. The first successful use of it was by David Berkoff. At the 1988 Olympics, he swam most of the 100 m backstroke race underwater and broke the world record in the distance during the preliminaries. Another swimmer to use the technique was Denis Pankratov at the 1996 Olympics in Atlanta, where he completed almost half of the 100 m butterfly underwater to win the gold medal. In the past decade, American competitive swimmers have shown the most use of the underwater dolphin kick to gain advantage, most notably Olympic and World medal winners Michael Phelps and Ryan Lochte; however currently swimmers are not allowed to go any further than fifteen metres underwater due to rule changes by FINA. In addition, FINA announced in 2014 that a single dolphin kick can be added to the breaststroke pullout prior to the first breaststroke kick. While the dolphin kick is mostly seen in middle-distance freestyle events and in all distances of backstroke and butterfly, it is not usually used to the same effect in freestyle sprinting. That changed with the addition of the so-called "technical" suits around the European Short Course Championships in Rijeka, Croatia in December 2008. There, Amaury Leveaux set new world records of 44.94 seconds in the 100 m freestyle, 20.48 seconds in the 50 m freestyle and 22.18 in the 50 m butterfly. Unlike the rest of the competitors in these events, he spent at least half of each race submerged using the dolphin kick. World Championship pools must be 50 metres (160 ft) (long course) long and 25 metres (82 ft) wide, with ten lanes labelled zero to nine (or one to ten in some pools; zero and nine (or one and ten) are usually left empty in semi-finals and finals); the lanes must be at least 2.5 metres (8.2 ft) wide. They will be equipped with starting blocks at both ends of the pool and most will have Automatic Officiating Equipment, including touch pads to record times and sensors to ensure the legality of relay takeovers. The pool must have a minimum depth of two metres. Other pools which host events under FINA regulations are required to meet some but not all of these requirements. Many of these pools have eight, or even six, instead of ten lanes and some will be 25 metres (82 ft) long, making them Short course. World records that are set in short course pools are kept separate from those set in long course pools because it may be an advantage or disadvantage to swimmers to have more or less turns in a race. Competitive swimming, from the club through to international level, tends to have an autumn and winter season competing in short course (25 metres or yards) pools and a spring and summer season competing in long course (50 metre) pools and in open water. In international competition and in club swimming in Europe, the short course (25m) season lasts from September to December, and the long course (50m) season from January to August with open water in the summer months. These regulations are slowly being brought to competition in North America. As of right now, in club, school, and college swimming in the United States and Canada, the short course (25 yards) season is much longer, from September to March. The long-course season takes place in 50-meter pools and lasts from April to the end of August with open water in the summer months. In club swimming in Australasia, the short course (25m) season lasts from April to September, and the long course (50m) season from October to March with open water in the summer months. Outside the United States, meters is the standard in both short and long course swimming, with the same distances swum in all events. In the American short course season, the 500 yard, 1000 yard, and 1650-yard freestyle events are swum as a yard is much shorter than a meter (100 yards equals 91.44 meters), while during the American long course season the 400 meter, 800 meter, and 1500-meter freestyle events are swum instead. Beginning each swimming season racing in short course allows for shorter distance races for novice swimmers. For example, in the short course season if a swimmer wanted to compete in a stroke they had just learned, a 25-yard/meter race is available to them, opposed to the long course season when they would need to be able to swim at least 50 meters of that new stroke in order to compete. There are several types of officials, which are needed to manage the competition. Referee: The referee has full control and authority over all officials. The referee will enforce all rules and decisions of FINA and shall have the final answer to all questions relating to the actual conduct of anything regarding the meet, as well as the final settlement of which is not otherwise covered by the rules. The referee takes overall responsibility for running the meet and makes the final decisions as to who wins each race. Referees call swimmers to the blocks with short blasts of his or her whistle. This is the signal for the swimmers to stand next to their blocks. Then the referee will blow a long whistle that will tell the swimmers to step on the block. For backstroke events, the long whistle is the signal for the swimmers to jump into the water. The referee will then blow another long whistle, signalling the swimmers to grab the gutter or the provided block handle. Finally the referee will hand over the rest to the starter by directing his or her hand to the starter. Starter: The starter has full control of the swimmers from the time the referee turns the swimmers over to him/her until the race commences. A starter begins the race by saying, "Take your mark." At this point, the swimmers will get into stationary positions in which they would like to start their race. After all swimmers have assumed their stationary position, the starter will push a button on the starting system, signaling the start of a race with a loud noise (usually a beep or a horn) and flash from a strobe light. A starter sends the swimmers off the blocks and may call a false start if a swimmer leaves the block before the starter sends them. A starter may also choose to recall the race after the start for any reason or request the swimmers to "stand", "relax" or "step down" if he or she believes that (a) particular swimmer(s) has gotten an unfair advantage at the start. Clerk of course: The clerk of course (also called the "bullpen") assembles swimmers prior to each event, and is responsible for organizing ("seeding") swimmers into heats based on their times. Heats are generally seeded from slowest to fastest, where swimmers with no previous time for an event are assumed to be the slowest. The clerk of the course is also responsible for recording and reporting swimmers who have chosen to "scratch" (not swim) their events after they have signed up or qualified to a semifinal or final. The clerk is also responsible for enforcing rules of the swim meet if a swimmer chooses to not show up ("No show" - NS) his or her events. Timekeepers: Each timekeeper takes the time of the swimmers in the lane assigned to him/her. Unless a video backup system is used, it may be necessary to use the full complement of timekeepers even when automatic officiating equipment is used. A chief timekeeper assigns the seating positions for all timekeepers and the lanes for which they are responsible. In most competitions there will be one or more timekeepers per lane. In international competitions where full automatic timing and video placing equipment is in use timekeepers may not be required. Inspectors of turns: One inspector of turns is assigned to one or more lanes at each end of the pool. Each inspector of turns ensures that swimmers comply with the relevant rules for turning, as well as the relevant rules for start and finish of the race. Inspectors of turns shall report any violation on disqualification reports detailing the event, lane number, and the infringement delivered to the chief inspector of turns who will immediately convey the report to the referee. Judges of Stroke: Judges of stroke are located on each side of the pool. They follow the swimmers during their swim back and forth across the pool. They ensure that the rules related to the style of swimming designated for the event are being observed, and observe the turns and the finishes to assist the inspectors of turns. If an official observes a swimmer breaking a rule concerning the stroke he or she is swimming, the official will report what they have seen to the referee. The referee can disqualify (or DQ) any swimmer for any violation of the rules that he/she personally observes or for any violation reported to them by other authorised officials. All disqualifications are subject to the decision and discretion of the referee. Those who are disqualified may choose to protest their disqualification . Protests are reviewed by a panel of officials instead of the deck referee or stroke judges who may have made the initial disqualification report. Competitive swimwear seeks to improve upon bare skin for a speed advantage and coverage. In 2009, FINA rules and regulations were altered and suits made with polyurethane were banned because they made athletes more buoyant. These rules also banned suits which go above the navel or below the knee for men and suits which extend past the shoulders or cover the neck for women. A swim cap (a.k.a. cap) keeps the swimmer's hair out of the way to reduce drag. Caps may be made of latex, silicone, spandex or lycra. Goggles keep water and chlorine out of swimmers' eyes. Goggles may be tinted to counteract glare at outdoor pools. Prescription goggles may be used by swimmers who wear corrective lenses. Rubber fins are used to help kick faster and build strength and technique, but are illegal in a race. They also improve technique by keeping the feet in the proper position while kicking. Swimmers use drag suits in training to increase resistance. This allows a swimmer to be challenged even more when practicing and let the swimmer feel less resistance when racing. Drag suits are not used in competitive races. Swimmers use these plastic devices to build arm and shoulder strength while refining hand-pulling technique. Hand paddles attach to the hand with rubber tubing or elastic material. They come in many different shapes and sizes, depending on swimmer preference and hand size. A kickboard is a foam board that swimmers use to support the weight of the upper body while they focus on kicking. Kicking is the movement of the legs only which helps to increase leg muscle for future strength. Often used at the same time as hand paddles, pull buoys support swimmers' legs (and prevent them from kicking) while they focus on pulling. Pull buoys are made of foam so they float in the water. Swimmers hold them in between the thighs. They can also be used as a kickboard to make kicking a little harder. Improving balance will minimize the need for this kick to provide an upward, instead of a forward vector, and in some cases completely corrects the kick. Using an ankle band will have the immediate effect of turning off your kick, which then forces you to make efforts to correct your balance. If you are successful in discovering these, then the ankle band has done part of its job. A snorkel is a plastic device that helps swimmers breathe while swimming. This piece of equipment helps the swimmer practice keeping their head in one position, along with training them for the proper breathing technique of breathing in through the mouth and out the nose. This technique is the opposite of a common runner's breathing pattern, which is in the nose and out the mouth. A beeping clock attached to a swimmers cap or goggles helps maintain a certain arm tempo or speed. As each beep is heard, the next stroke, or cycles of strokes, should be taken. A type of rubber swimming fins, zoomers are cut off fins with the holes in the bottom. They help make the swimmer kick faster, but at the cost of working harder. Brands such as Arena, Speedo, Nike, and Adidas are popular regular swimwear brands. The most durable material for regular swimming is Polyester. The main difference between competition and regular swimwear is that competition swimwear is tighter and compresses the muscles of the swimmers. Regular swimwear is easier to put on and more comfortable for leisure activities. The most used practice swimwear for men includes briefs and jammers. Males generally swim barechested. There was controversy after the Beijing Olympic Games in 2008 when many Olympic swimmers broke records an unprecedented number of times using revolutionary swimsuits that covered their entire legs. To highlight the issue, in 2008, 70 world records were broken in one year, and 66 Olympic records were broken in one Olympic Games (there were races in Beijing where the first five finishers were swimming faster than the old world record). As of January 1, 2010, men are only allowed to wear suits from the waist to the knees. They are also only permitted to wear one piece of swimwear; they cannot wear briefs underneath jammers. This rule was enacted after the controversy in the Beijing Olympics and Rome World Championships. Women wear one-piece suits with thicker and higher backs for competition, though two-piece suits can also be worn during practice. Backs vary mainly in strap thickness and geometric design. Most common styles include: racerback, axel back, corset, diamondback, and butterfly-back/Fly-Back. There are also different style lengths: three-quarter length (reaches the knees), regular length (shoulders to hips), and bikini style (two-piece). As of January 1, 2010, in competition, women must wear suits that do not go past the shoulders or knees. Drag suits are used to increase water resistance against the swimmer to help them train for competitions. Other forms of drag wear include nylons, old suits, and T-shirts: articles that increase friction in the water to build strength during training, and thus increase speed once drag items are removed for competition. Some swimmers practice in basketball shorts over their bathing suit, wearing two bathing suits, or wearing an extra bathing suit with holes cut in the material. Many swimmers also shave areas of exposed skin before end-of-season competitions to reduce friction in the water. The practice gained popularity after the 1956 Olympics, when Murray Rose and Jon Henricks came shaved and won gold medals for Australia. Freshly shaven skin is less resistant when in the water. In addition, a 1989 study demonstrated that shaving improves a swimmer's overall performance by reducing drag. Wearing drag suits during training also improves mental performance during competitions. Drag makes a swimmer feel slower and more resistant during training with the added friction. Then on the day of the competition, a shaven swimmer wearing only a fast competition suit will feel an improvement in how fast and smooth they feel in the water. The disadvantages of using a drag suit include the depletion of proper stroke. This is caused by the swimmer's own fatigue. When the swimmer becomes more fatigued, different muscle groups become more tired. Consequently, the swimmer will try to engage another group of muscle to do the same thing, which can cause the stroke efficiency to drop. Elite and international swimming comprises the highest level of competition available to swimmers, including competitions such as the Olympic Games and FINA World Aquatics Championships. Swimming creates a mix of levels, including: fully professional, semi-professional, and amateur. Fully professional swimmers will typically get a salary both from their national governing body and from outside sponsors, semi-professionals a small stipend from their national governing body, and amateurs receive no funding. Outside of these major championships prize money is low – the 2015 FINA World Cup series has a total prize fund of $3,000 per race shared between the top three and the 2014–15 USA Grand Prix Series $1,800 compared to the 2015 World Aquatics Championships fund of $60,000 per race shared between the top eight. Swimmers must go around the yellow marked to count as a "lap"
Open water swimming is swimming outside a regular pool, usually in a lake, or sometimes ocean. Popularity of the sport has grown in recent years, particularly since the 10 km open water event was added as an Olympic event in 2005, contested for the first time in the 2008 Olympic Games in Beijing. New recent technology has developed much faster swimsuits. Full body suits have been banned, but swimmers at the very top levels still wear suits that have been lasered together because stitching creates drag. The disadvantage of these suits is that they are often uncomfortable and tight, and can tear easily if not handled carefully. The largest Ocean Swim's in terms of numbers of participants are in Australia, with the Pier to Pub, Cole Classic and Melbourne Swim Classic all with roughly 5000 swimming participants. Swimming times have dropped over the years due to superior training techniques and new technical developments. The first four Olympics were not held in pools, but in open water (1896 – the Mediterranean, 1900 – the Seine river, 1904 – an artificial lake, 1906 – the Mediterranean). The 1904 Olympics' freestyle race was the only one ever measured at 100 yards, instead of the usual 100 meters. A 100-meter pool was built for the 1908 Olympics and sat in the center of the main stadium's track and field oval. The 1912 Olympics, held in the Stockholm harbor, marked the beginning of electronic timing. Male swimmers wore full-body suits until the 1940s, which caused more drag in the water than their modern swimwear counterparts experience. Competition suits now include engineered fabric and designs to reduce swimmers' drag in the water and prevent athlete fatigue. In addition, over the years, pool designs have lessened the drag. Some design considerations allow for the reduction of swimming resistance, making the pool faster. These include proper pool depth, elimination of currents, increased lane width, energy absorbing racing lane lines and gutters, and the use of other innovative hydraulic, acoustic, and illumination designs. There have been major changes in starting blocks over the past years. Starting blocks used to be small, narrow and straight  but through time they have become bigger and wider and nowadays the surface of the block is angled towards the swimming pool. In addition, starting blocks now have a "wedge" which is a raised, slanting platform situated at the rear of the main block. This enables the swimmer to adopt a crouched position at a 90 degrees angle and push off quicker with the rear leg to increase their launch power. The 1924 Summer Olympics were the first to use the standard 50-meter pool with marked lanes. In the freestyle, swimmers originally dove from the pool walls, but diving blocks were incorporated at the 1936 Summer Olympics. The tumble turn was developed by the 1950s and goggles were first used in the 1976 Olympics. There were also changes in the late 20th century in terms of technique. Breaststrokers are now allowed to dip their heads completely under water to glide, which allows for a longer stroke and faster time. However, the breaststrokers must bring their heads up at the completion of each cycle. In addition, a key hole pull in the breaststroke start and turns has been added to help speed up the stroke. There have been some other changes added recently as well. Now off the start and turns, breaststrokers are allowed one butterfly kick to help increase their speed. Backstrokers are now allowed to turn on their stomachs before the wall in order to perform a "flip-turn". Previously, they had to reach and flip backwards and a variation of it, known as a "bucket turn" or a "suicide turn", is sometimes used in individual medley events to transition from backstroke to breaststroke. The foundation of FINA in 1908 signaled the commencement of recording the first official world records in swimming. At that time records could be established in any swimming pool of length not less than 25 yards, and records were also accepted for intermediate distance split times from long distance events. Today World Records will only be accepted when times are reported by Automatic Officiating Equipment, or Semi-Automatic Officiating Equipment in the case of Automatic Officiating Equipment system malfunction. Records in events such as 300 yd, 300 m, 1000 yd, and 1000 m freestyle, 400 m backstroke, and 400 m and 500 m breaststroke were no longer ratified from 1948. A further removal of the 500 yd and 500 m freestyle, 150 m backstroke, and 3×100 m medley relay from the record listings occurred in 1952. In 1952, the national federations of the United States and Japan proposed at the FINA Congress the separation of records achieved in long-course and short-course pools, however it was four more years before action came into effect with the Congress deciding to retain only records held in 50 m pools as the official world record listings. By 1969 there were thirty-one events in which FINA recognised official world records – 16 for men, 15 for women – closely resembling the event schedule that was in use at the Olympic Games. The increase in accuracy and reliability of electronic timing equipment led to the introduction of hundredths of a second to the time records from 21 August 1972. Records in short course (25 m) pools began to be officially approved as "short course world records" from 3 March 1991. Prior to this date, times in short course (25 m) pools were not officially recognised, but were regarded a "world best time" (WBT). From 31 October 1994 times in 50 m backstroke, breaststroke, and butterfly were added to the official record listings. FINA currently recognises world records in the following events for both men and women. 50m pool — — — — — 2009. 25m pool — — — — — 2002. 25m pool — — — — — +2.5sec — — — 1999. John Naber +4sec +7sec +19sec 1976. 25m pool — — — 2014. Katinka Hosszú +0.5sec +14.5sec — 2014. Swimming is a healthy activity that can be done by most people throughout their life. It is a low-impact workout that has several mental and bodily health benefits all while being a good recreational activity. Swimming builds endurance, muscle strength, and cardiovascular fitness. Correspondingly, it also improves weight loss while being a safer alternative of working out for someone who is injured or for women who are pregnant.Swimming requires less effort then other sports, but the athletes will get the results they are looking for. The rotator cuff in the shoulder is most susceptible to injury in swimmers. Injury to the rotator cuff results from repeated trauma and overuse.The joints are more prone to injury when the arm is repetitively used in a position above the horizontal line of the body. This position occurs in each of the four swimming strokes in every cycle of the arms. 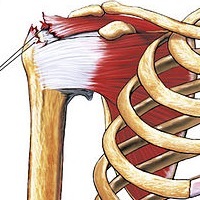 Out of the four tendons in the rotator cuff, the supraspinatus is most prone to tearing. Rotator cuff impingement is due to pressure on the rotator cuff from part of the scapula as the arm is raised. The best way to prevent injury is catching the issue early. Typically, poor technique and over excessive use of the muscle group can be the primary causes of injury. Through communication between swimmers, coaches, parents, and medical professionals, any issue can be diagnosed prior to a serious injury. Additionally, proper warm-up, stretches, and strength training exercises should be completed before any rigorous movements. In treating a rotator cuff injury, the most important factor is time. Due to the nature of the joint being primarily stabilized by muscle and tendon, the injury must be fully healed to prevent recurrence. Returning to swimming or other demanding exercises too soon can result in degeneration of a tendon which might result in a rupture. During the rehabilitation period, focus should be placed on rotator cuff and scapular strengthening. Another common injury is breaststroke knee, also known as swimmer's knee. This injury is caused by the kicking movement used while swimming breaststroke. The kicking movement will cause wear and tear on the knee and it will eventually lead to constant pain. In recent studies it has been found that initially, the pain is only experienced when the kick was executed, but eventually the pain spread to other regular day-to-day activities, athletic and non-athletic. ^ "Most Mentioned Olympic Sport in 2004". www.topendsports.com. Retrieved 7 March 2017. ^ "USA Swimming - Rules & Regulations". www.usaswimming.org. Retrieved 7 March 2017. ^ "Early History of Swimming". 4 March 2012. Archived from the original on 4 March 2012. ^ "The Community of Worldwide Swimmers | Latest News, Forums & Blog of Swimming World". Tidalwave.usswim.net. Archived from the original on 28 December 2013. Retrieved 30 December 2016. ^ "John Trudgen (Gbr)". ISHOF.org. Retrieved 30 December 2016. ^ Lisa Porter. "The History of Competitive Swimming". Livestrong.Com. Retrieved 30 December 2016. ^ "Overview of history of swimming pools". Swimmingpool.com. Retrieved 14 August 2012. ^ "Why do swimmers shave their bodies?". HowStuffWorks. Retrieved 24 July 2015. ^ "Swimming Rules". Fina.org. Archived from the original on 6 July 2013. Retrieved 16 July 2013. ^ "SW 8 BUTTERFLY | fina.org – Official FINA website". www.fina.org. Archived from the original on 3 April 2016. Retrieved 12 April 2016. ^ Keith, Braden (2 December 2014). "FINA announces another rules change to breaststroke pullouts". SwimSwam. Retrieved 6 November 2017. ^ "Results of the French team in Rijeka,2008". Swimrankings.net. Retrieved 14 August 2012. ^ "Facilities Rules". 18 June 2010. Archived from the original on 18 June 2010. ^ "FINA Technical Rules SW1.2". Fina.org. 23 September 2009. Retrieved 14 August 2012. ^ "FINA Management of Competition Rule SW1". Fina.org. 23 September 2009. Retrieved 14 August 2012. ^ "FINA General Rules 2013" (PDF). FINA. Archived from the original (PDF) on 26 April 2015. Retrieved 6 August 2014. ^ Coach Suzanne (28 April 2012). "Swimming Technique, Scissors Kick – Do Ankle Bands Work?". Steelcityendurance.com. Retrieved 16 July 2013. ^ Hines, Emmett. "Sucking Wind (In a Good Way)". US Masters Swimming. Retrieved 2 October 2015. ^ Laughlin, Terry. "4 Tips to Master Your Breathing Technique During the Swim". Active. Active Network. Retrieved 2 October 2015. ^ "FINA Approved Swimwear" (PDF). Archived from the original (PDF) on 21 October 2012. Retrieved 14 August 2012. ^ "Why do swimmers shave their bodies?". Adventure.howstuffworks.com. 14 July 2010. Retrieved 29 December 2016. ^ Sharp, RL; Costill, DL (October 1989). "Influence of body hair removal on physiological responses during breaststroke swimming". Medicine & Science in Sports & Exercise. 21 (5): 576–80. doi:10.1249/00005768-198910000-00013. PMID 2691818. ^ "FINA World Cup Regulations" (PDF). FINA. Archived from the original (PDF) on 26 July 2015. Retrieved 15 August 2015. ^ "2014-15 Arena Pro Swim Series Rules" (PDF). Usaswimming.org. Retrieved 30 December 2016. ^ "RECORD $5.5 MILLION IN PRIZE MONEY AVAILABLE AT 2015 WORLD CHAMPIONSHIPS". SwimSwam. 17 June 2015. Retrieved 15 August 2015. ^ "USA Swimming – Open Water". usaswimming.org. Retrieved 12 April 2016. ^ "Swimming Block". Swimmaster. Retrieved 16 July 2013. ^ "Start track piscine castiglione 1.jpg". Piscine Castiglione. Archived from the original on 5 June 2013. Retrieved 16 July 2013. ^ Allain, Rhett. "Olympics Physics: New Platform Is No Chip Off the Old Starting Block | Playbook". Wired.com. Retrieved 16 July 2013. ^ "FINA History". Fina.org. Archived from the original on 15 August 2012. Retrieved 14 August 2012. ^ "FINA World Record Rule 12.6". Fina.org. 3 May 2010. Archived from the original on 16 August 2012. Retrieved 14 August 2012. ^ "FINA Technical Rule SW12.1 and 12.2". Fina.org. 23 September 2009. Retrieved 14 August 2012. ^ Services, Department of Health & Human. "Swimming - health benefits". www.betterhealth.vic.gov.au. Retrieved 29 March 2019. ^ "Swimming - health benefits - Better Health Channel". Betterhealth.vic.gov.au. 30 August 2013. Archived from the original on 15 October 2015. Retrieved 30 December 2016. ^ Maynard, Kate (1 December 2004). "In The Swim". Vital. Retrieved 1 April 2019. ^ Whetstone, Muriel (1 July 1996). "Swimming Your Way to Good Health". Ebony. Retrieved 31 March 2019. ^ Shoenberger, Linda (4 May 2011). "Fun and Healthy at the Same Time". Masters Swimming. Retrieved 1 April 2019. ^ "Chapter 2 - 2008 Physical Activity Guidelines". Health.gov. Retrieved 30 December 2016. ^ "Wayback Machine" (PDF). 21 October 2011. Archived from the original (PDF) on 21 October 2011. ^ "CDC - Health Benefits of Water-Based Exercise - Healthy Swimming & Recreational Water - Healthy Water". 6 March 2010. Archived from the original on 6 March 2010. ^ "Swimming improves mental health | How swimming eases the mind". Just Swim. 11 July 2016. Retrieved 24 September 2018. ^ "How Swimming Changes Your Brain And Makes You Mentally Healthier". Lifehack. 19 August 2016. Retrieved 3 April 2019. ^ "Swimming improves mental health | How swimming eases the mind". Just Swim. 11 July 2016. Retrieved 3 April 2019. ^ "Musculoskeletal Injuries in Competitive Swimmers". ^ "Swimmer's Shoulder". physioworks.com.au. Retrieved 12 April 2016. ^ Poirier-Leroy, Olivier. "How to Fix and Prevent Breaststroker's Knee". yourswimbook. Retrieved 16 April 2019.
International Swimming Federation – the international governing body. Aslı Kalaç (born December 13, 1995 in Istanbul, Turkey) is a Turkish female volleyball player. She is 183 cm (6.00 ft) tall at 73 kg (161 lb) and plays in the middle blocker position. She plays for Yeşilyurt Women's Volleyball Team. Kalaç debuted in the girls' youth national team in 2011, and is currently a member of the Turkey women's junior national volleyball team. She wears number 9. She was born on December 13, 1995 in Istanbul. Her father canalized her in 2006 summer to volleyball after she was engaged in swimming sport for one year. In the beginning, she was coached by Münip Özdurak at Yeşilyurt Women's Volleyball Team. After playing for two seasons at the TVF Sport High School, she signed in July 2011 for Yeşilyurt Women's Volleyball, which competes in the Turkish Women's Volleyball League. Atlético Clube de Portugal is a Portuguese club, located in the city of Lisbon, more precisely in the parish of Alcântara. It was founded on September 18, 1942 due to the merger of two clubs of Alcântara (Carcavelinhos Football Club) and Santo Amaro (União Foot-Ball Lisboa). Besides Football, the club also has sections of Futsal and Basketball. In the past the club had sections of Field Hockey, Swimming, Sport Fishing, Cycle-Touring, Table Tennis, Rugby, Volleyball, Gymnastics, Triathlon and Handball. The Botswana Swimming Sport Association is the national governing body for the sport of swimming in Botswana. Botswana competed at the 2011 World Aquatics Championships in Shanghai, China between July 16 and 31, 2011. Botswana competed at the 2013 World Aquatics Championships in Barcelona, Spain from 19 July to 4 August 2013. Botswana competed at the 2015 World Aquatics Championships in Kazan, Russia from 24 July to 9 August 2015. Botswana competed at the 2017 World Aquatics Championships in Budapest, Hungary from 14 July to 30 July. Fort Recovery High School is a public high school in the Fort Recovery School District, and is located in Fort Recovery, Ohio. Their nickname is the Indians. They are a member of the Midwest Athletic Conference. Jay County High School is a public high school located on the outskirts of Portland, Indiana. Klára Killermann (also known as Killermann-Bartos) (born 23 June 1929 in Tatabánya, died 16 July 2012) was a breaststroke swimmer from Hungary. She first won a national championship in 1942, as a 13-year-old, to the big surprise of the Hungarian swimming sport, which at that time was world-famous. In 1951 she won gold medal in 100 and 200m breast stroke at the University Games in Berlin. In Helsinki, in 1952, she had exactly the same time as the third placed Helen Gordon 2.57,6, but according to the judges, she was placed fourth, and did not win the bronze medal. At the European Championships in 1954 she won bronze in 200m breaststroke.Her husband was a national rowing champion, and she has two daughters, Dorottya Klára and Csilla. Her granddaughter Viktória married Prince Jaime, Count of Bardi, the son of Princess Irene of the Netherlands, herself a sister of the former Queen Beatrix. Jaime and Viktória's oldest daughter, Princess Zita Clara, is named in her memory. Lake Amatitlán (Lago Amatitlán, Spanish pronunciation: [laɣo amatiˈtlan]) is a lake located within the Amatitlán caldera in south-central Guatemala, fairly close to Guatemala City. It lies in the central highlands, 1,186 m (3890 feet) above sea level. Its maximum depth is 33 m (108 feet) and an average of 18 m (59 feet). The lake is 11 km (7 miles) long and 3 km (2 miles) wide; with an area of 15.2 square kilometers (5.9 sq mi) and a water volume of 0.286 cubic kilometers. The lake's primary inflow is the Villalobos River, and the lake is drained by the Michatoya River, an important tributary of the María Linda River. The town of Amatitlán is situated at the head of the Michatoya river. A dam with a railway on top was constructed at the narrowest point, thus effectively dividing the lake into two water bodies with different physical, chemical and biological characteristics: a north-western and a south-eastern basin. The lake is used as a water source, for navigation and transportation, sightseeing and tourism (10,000 visitors annually), recreation (swimming, sport-fishing, water skiing, yachting) and fisheries. The Botswana records in swimming are the fastest ever performances of swimmers from Botswana, which are recognised and ratified by the Botswana Swimming Sport Association. All records were set in finals unless noted otherwise. Tracey Lee Wickham (born 24 November 1962 in Rosebud, Victoria) is an Australian former middle distance swimmer. Wickham was the World Champion for the 400 m and 800 m freestyle in 1978, and won gold in both events at the 1978 and 1982 Commonwealth Games. She is a former world record holder for the 400 m, 800 m and 1500 m freestyle. Despite her success in the pool, Wickham has battled hardship and personal tragedy throughout her life. United States Aquatic Sports (USAS) is the national federation for aquatic sports which represents the United States in FINA (Fédération Internationale de Natation). Since by U.S. law and FINA regulations, the United States must have only one national federation for itself to FINA, United States Aquatic Sports has served as the unifying body for the sports since 1980. Five separate national governing bodies (NGBs) make up USAS: USA Swimming, USA Diving, United States Synchronized Swimming, USA Water Polo, and United States Masters Swimming. Of the five, only United States Masters Swimming (USMS) is not a member of the United States Olympic Committee (USMS's main aim is adult swimming, exclusive of Olympic-swimming which is the domain of USA Swimming). United States Aquatic Sports plays a very minor role in representation, and while USAS is the titular member federation, the NGBs play de facto roles in making decisions about participation in international competition and hosting. Ostensibly, USAS will "sign off" on the selections of an NGB's delegation to an international competition (whether hosted by the IOC, FINA, or ASUA). USAS hosts an annual convention where the five NGBs meet, as well; currently this meeting also includes the annual conventions for all but water polo--who is in-season at the time, and instead holds its annual convention at another time of the year. The reasoning behind this is to allow the NGBs to save money on their national conventions and to allow collaboration between the NGBs on common issues of interest. USAS meetings are also held at the time. Water polo at the 1980 Summer Olympics as usual was a part of the swimming sport, other two parts were swimming and diving. They were not three separate sports, because they all were governed by one federation — FINA. Water Polo discipline consisted of one event: men's team. In the preliminary round 12 teams were divided into three groups. Two best teams from each group (shaded ones) advanced to Group A of the final round to determine places 1 through 6. The rest of teams played in Group B of the final round to determine places 7 through 12. Water polo at the 1988 Summer Olympics as usual was part of the swimming sport, the other two being swimming and diving. They were not seen as three separate sports, because they all were governed by one federation — FINA. Water polo discipline consisted of one event: the men's team competition. In the preliminary round twelve teams were divided into two groups. The two best teams from each group (shaded ones) advanced to the semi-finals. The two numbers three and four played classification matches to determine places 5 through 8, with the earlier result taken with them. The rest of the teams also played classification matches to determine places 9 through 12.